Home > How can you measure the value of a webpage? > How is Alexa Rank different from MozRank? 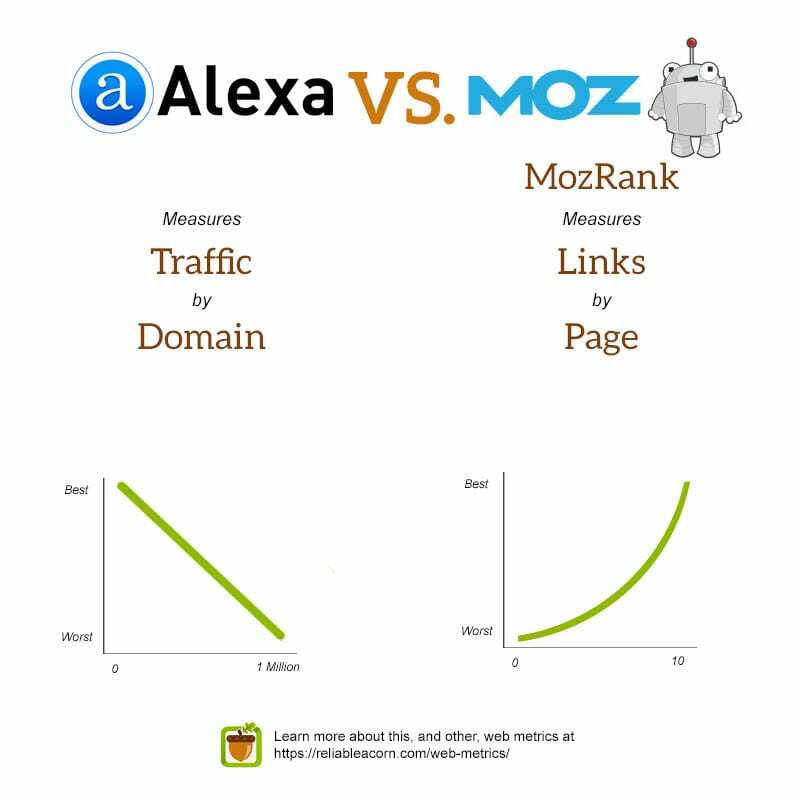 How is Alexa Rank different from MozRank? Although both of these metrics talk about “rank”, they mean two very different things. Alexa Rank is a list of websites ranked by popularity according to traffic estimates for that website. Websites are ranked from #1 (most estimated traffic) to One Million. Alexa’s rank does not include websites greater than the top million. On the other hand MozRank measures the quality of links pointing to a webpage, not traffic. Since MozRank considers links, several pages can have the same MozRank. In fact, because of this, MozRank is a good way to compare web pages against each other in terms of the quantity and quality of links pointing to them. MozRank follows an exponential scale between zero (meaning no links) to 10 (meaning lots of links). Since the scale is logarithmic, it is much more difficult to move a webpage from MozRank 3 to 4 than it is to move it from 2 to 3.